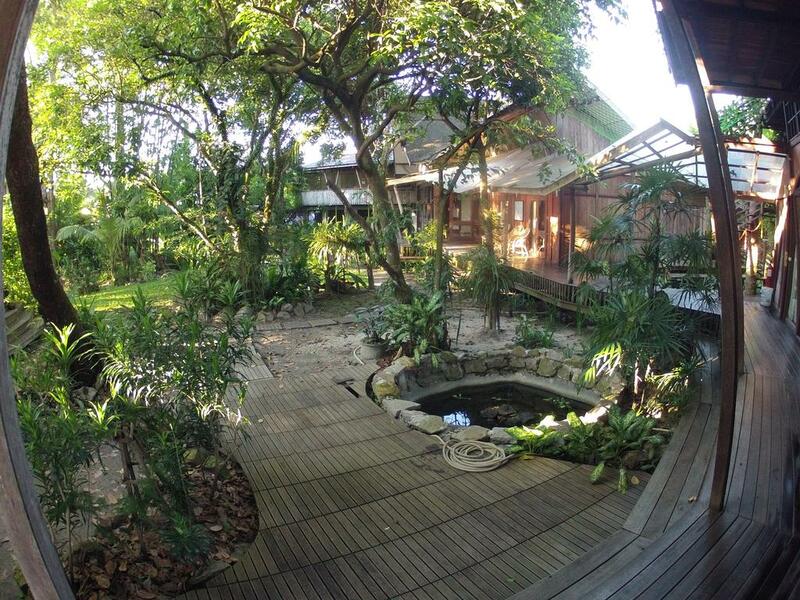 People stepping in to Bukit Raya Guesthouse often just say “wow”! We try to keep the natural touch of our small “city forest” as good as possible. Trees are growing and the scenery is changing all the time. 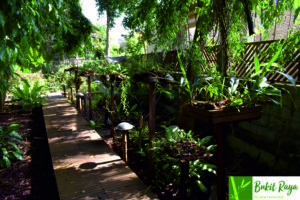 The attentive visitor can find dozens of wild orchids growing on and between the trees. Some of them are very small and others are as big as a hand and some bloom only once every 5 to 7 years, while others have never flourished in those 15 years since the house exists!In the wild part of the garden, the amazing Ficus Benyamini is creating a wild orchestra of aerial roots, branches, leaves and trunks. This tree is an astonishing miracle – a wonder of Gods creation! 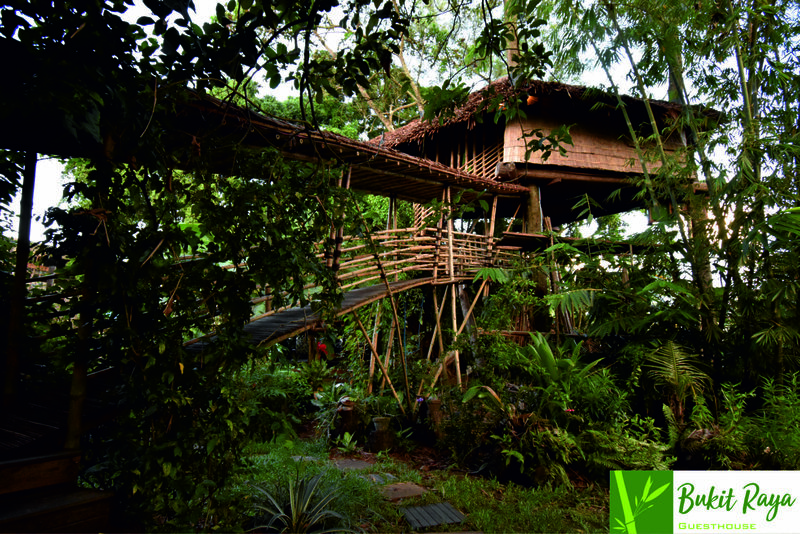 More in the center, four huge trees form the base for our famous tree house located 5 meters above the ground. While listening to the wind rustling through the bamboo leaves or watching the bats eating the ripe Ficus fruits. But watch out! The bats can get drunken and then it becomes very funny!During the cool evening, hidden lamps create a romantic environment in the garden. While you are taking a bath in the pool, you can enjoy the sounds of the evening: dozens of cicadas, frogs and crickets performing their nightly concert – just similar to the deep tropical forest sounds. An other possibility is to watch a movie in our open-air cinema aside the pool – you will probably not forget these nights at Bukit Raya Guesthouse!